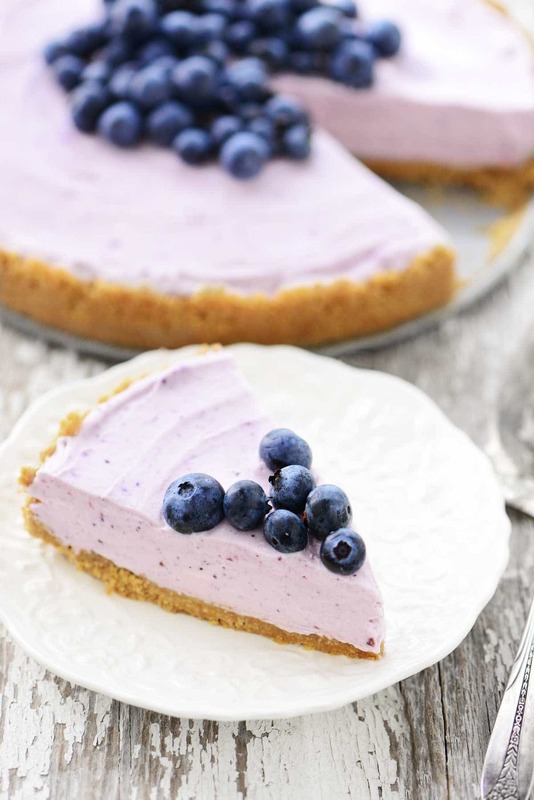 This No Bake Blueberry Cheesecake is super easy to make. 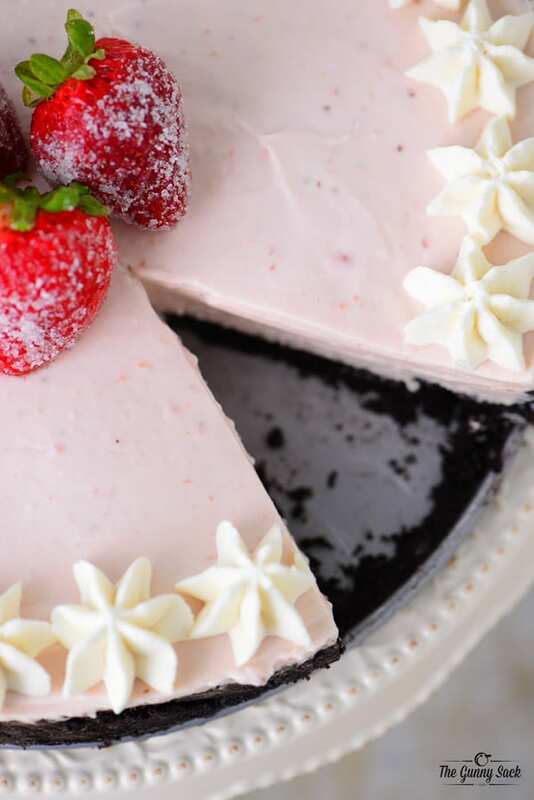 It is a great dessert for making ahead of time to serve to guests or to bring to a friend’s house. You guys, this morning when I brought the kids to school the “feels like” temperature was -11° and tomorrow the high is going to be 50°!!!! I can’t even tell you how excited I am! It makes me long for spring and this recipe for no bake blueberry cheesecake is the perfect way to celebrate! 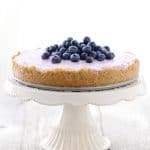 Earlier this week I shared a recipe for Blueberry Sauce and promised to share this No Bake Blueberry Cheesecake recipe. 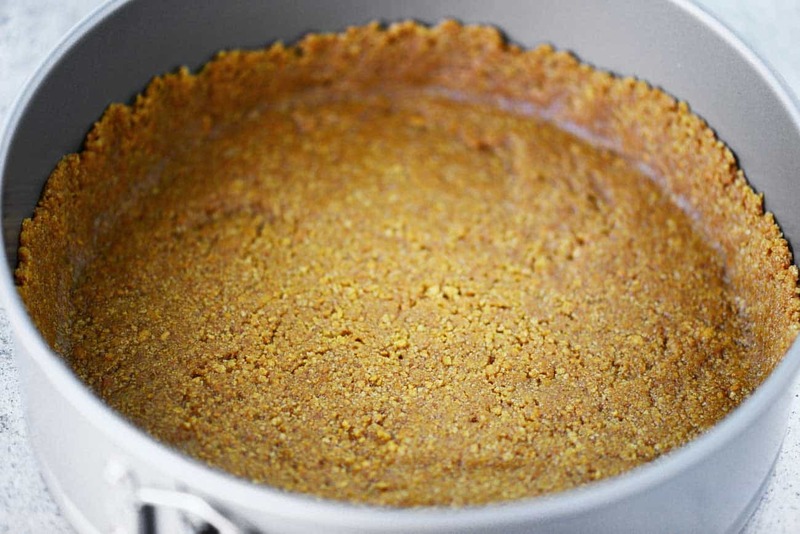 To make the crust you will need 1 1/2 cups of graham cracker crumbs. I used the original graham crackers. Or if you prefer, you can buy them already crushed. 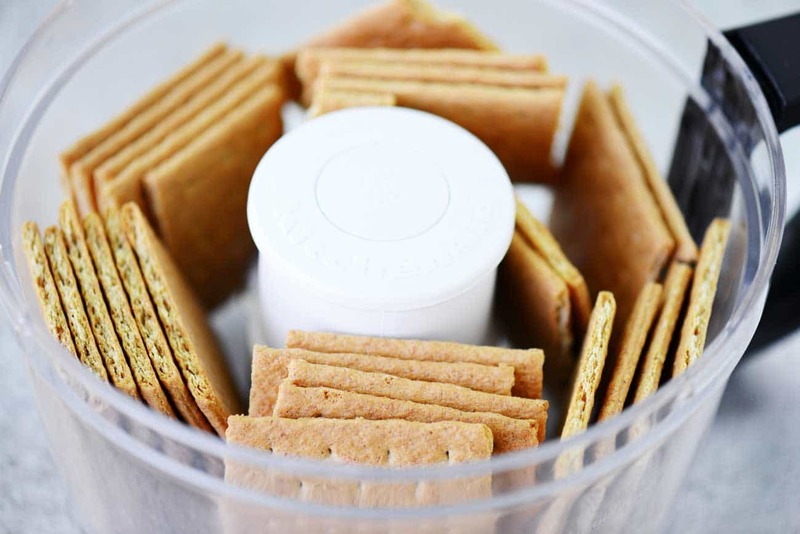 Crush the graham crackers using a food processor or place them in a gallon sized zip-top bag and crush them with a rolling pin. Mix the graham crackers crumbs with melted butter and sugar. Press the mixture into the bottom and about 3/4 inch up the sides of a 9-inch springform pan. 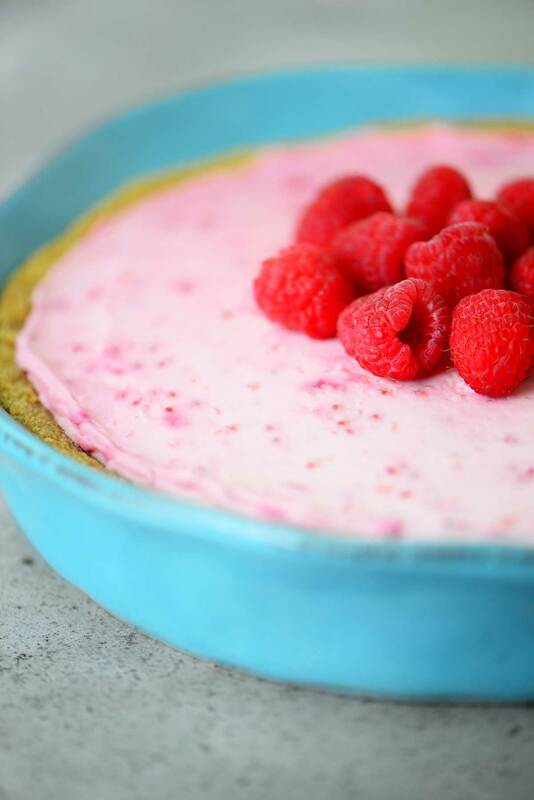 A small measuring cup can be a big help when trying to form the crust. 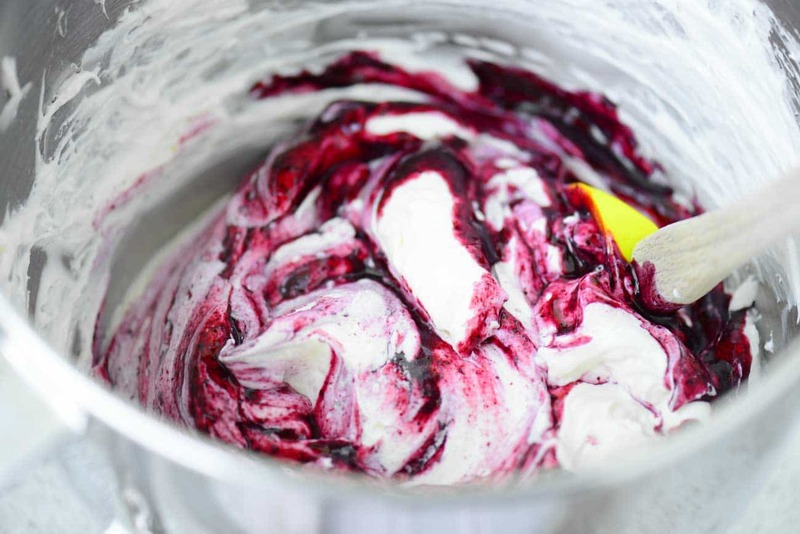 You will need one half cup of blueberry sauce for this recipe. I used my blueberry sauce recipe and blended it smooth in my BlendTec. You could substitute blueberry pie filling for the homemade blueberry sauce. Beat the softened cream cheese for two minutes. Add the powdered sugar, lemon juice, and vanilla and mix until smooth. Fold in the whipped cream (or Cool Whip). Gently stir in the blueberry sauce puree until just combined. Scoop the blueberry cheesecake mixture into the pan and spread it out over the crust, cover and refrigerate for at least one hour, or overnight. 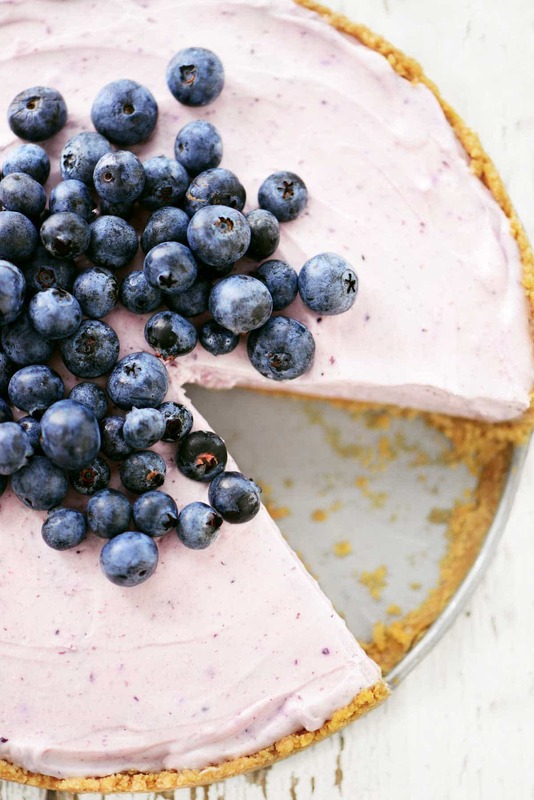 To make the cheesecake even prettier, top it with fresh blueberries before serving. 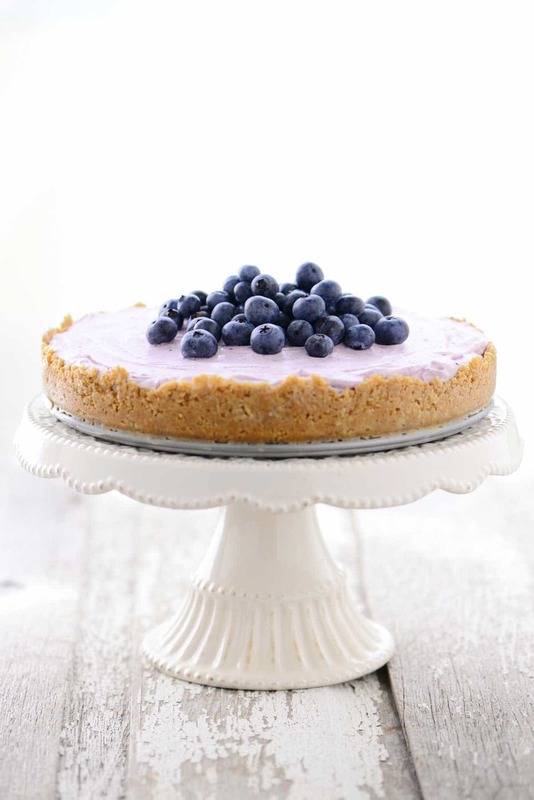 I love how easy it is to make this no bake blueberry cheesecake. 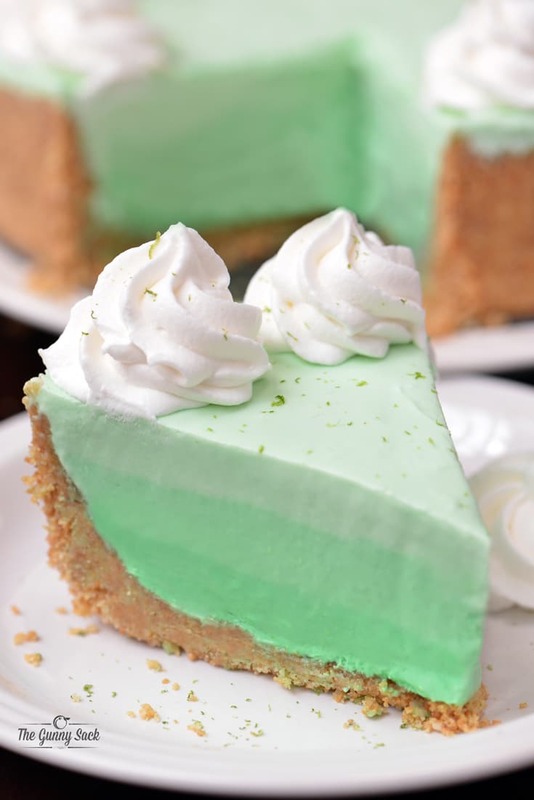 It is a great dessert for making ahead of time to serve to guests or to bring with when going to a friend’s house. Mix the graham crackers crumbs with melted butter and sugar. Press the mixture into the bottom and about 3/4 inch up the sides of a 9-inch springform pan. Beat the softened cream cheese for two minutes. Add the powdered sugar, lemon juice, and vanilla and mix until smooth. Fold in the whipped cream. 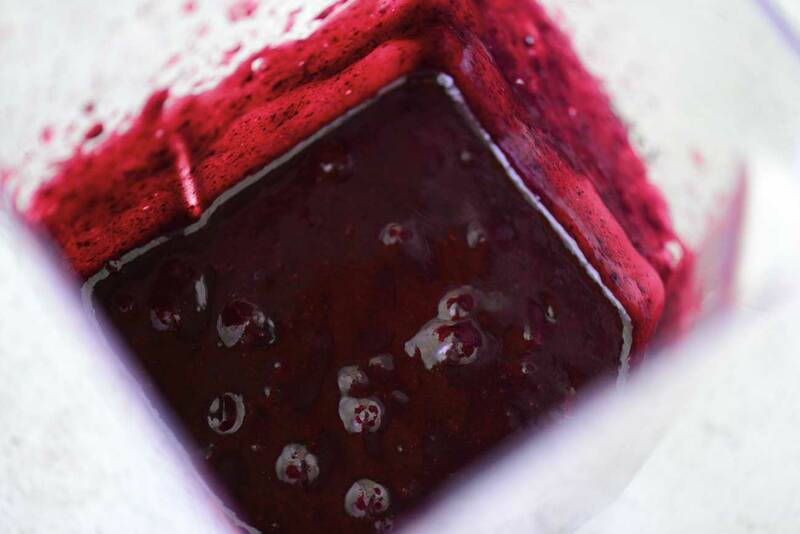 Gently stir in the blueberry sauce puree until just combined. Scoop the blueberry cheesecake mixture into the springform pan and spread it out over the crust, cover and refrigerate for at least one hour, or overnight.